We are so excited to share one of our recent site launches and the beginning of a great relationship. 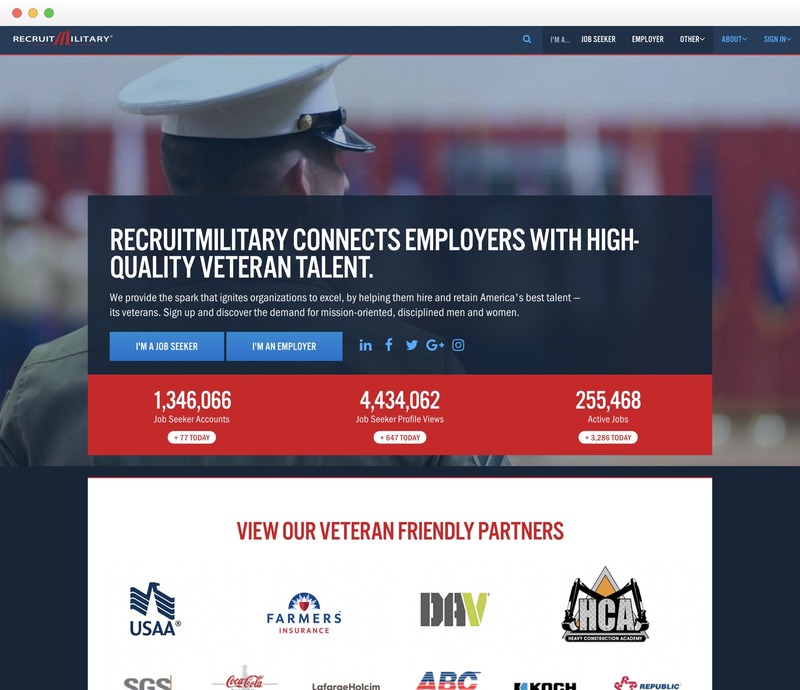 RecruitMilitary is a company that connects veterans with employers. They do so through their massive job board, published magazine, and their premium job fair events. They connected with Ample to help them refine their online product and to hone their branding. Step one was an overhaul of their marketing website. The new site is a much better representation of their size, influence and positioning. It also uses a user-specific content strategy to help guide their various audiences to the information and services they require. We hope you check the site out and let us know what you think!